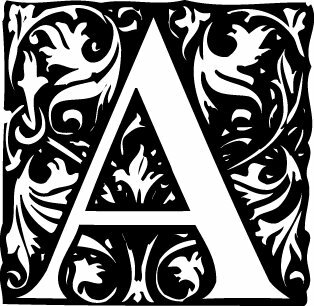 Today’s blog post is part of the Blogging From A to Z Challenge during which writers all over the world blog each day in April based on a corresponding letter of the alphabet. My posts are based on my personal stories including what it’s like to live with Trigeminal Neuralgia, the most painful diagnosis known to man. “Tic Douloureux,” the ENT doctor said. We were sitting in his office looking at side-by-side computer screens both of which showed an MRI image of the sinuses. They looked identical. Mine was on the left. I already knew about the teeth problems. I had been going to the dentist for years complaining about pain on the left side of my mouth. It didn’t happen all the time, just one of those little jolts you feel when you bite down on something cold or super sweet. My dentist and an oral surgeon had already ruled out that the feeling was tooth-related, yet my pain was getting worse. Much worse. “Say that again, please?” I asked. So that was it. The beginning of my understanding as to why I was in constant pain. Although “Tic Douloureux” sounds fun like “Skip To My Lou”, I assure you there is no entertainment value in it whatsoever. I went to the Neuro, who told me the new-fangled name for what I have is Trigeminal Neuralgia. I was actually happy that someone had figured out any name for my condition. The doctor then recommended that I not Google it when I got home. I shouldn’t have Googled. Before I could click off the first link, I had seen more than I really needed. Progressive and chronic pain condition affecting the nerves of the face. The most painful medical diagnosis known to man. Also called “The Suicide Disease”. It wasn’t a joke. It was a diagnosis. One that I have now lived with on and off for over six years. At this point my pain is a constant 24 hour barrier between me and having a life. And true to almost everything about me, my TN was deemed “Atypical TN” a type of this condition that is often harder to identify than the ol’ standard variety. I have always been a little left-of-center and now, even my illness was a nonconformist. This condition only affects 1 in 20,000 people. Lucky me. 1 in 20,000 seems pretty common for something I’ve never heard of before! It does sound like a painful diagnosis, but I’m glad you’re blogging through it. Thanks Sabina. I actually think even more people have it but they haven’t been diagnosed. As is the case with a lot of medical conditions, I think.